Beautiful Incentives: Do you love #Ramen Noodles? This is a must see! Do you love #Ramen Noodles? This is a must see! This post has been sponsored by Rapid Ramen. We've all been there, eating ramen noodles for pennies on the dollar, because it's all we can afford. Ramen is very popular among those struggling college students and I was one of those, but this cheap delightfully filling over-sodium packed favorite is also still consumed by many out of college and beyond. I know I haven't seemed to kick it just yet. I'll eat it now and then and bask in the fact that while i'm still forever on a tight budget, not as tight as back then. I know you're thinking, "Ok, seriously, why am I reading about Ramen noodles? Now, I want some Ramen noodles! Curse you!" No need to curse me. I'll tell you why. 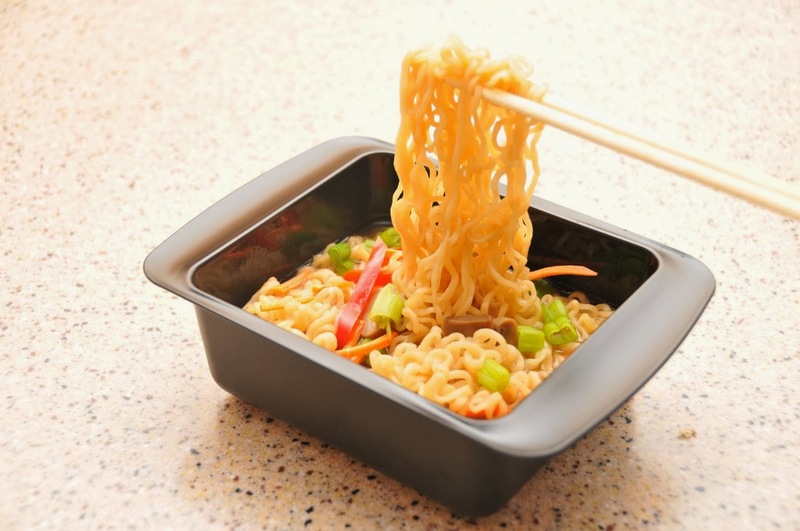 What to expect from the Rapid Ramen cooker. A square shaped microwavable bowl. Rapid cooking time obviously, and only in the microwave. You can put the ramen noodle block in whole without having to break it up. Heat resistant handles- No more burning your fingers off with those Styrofoam cups. Less damage to the environment not using Styrofoam. Reduction of sodium. 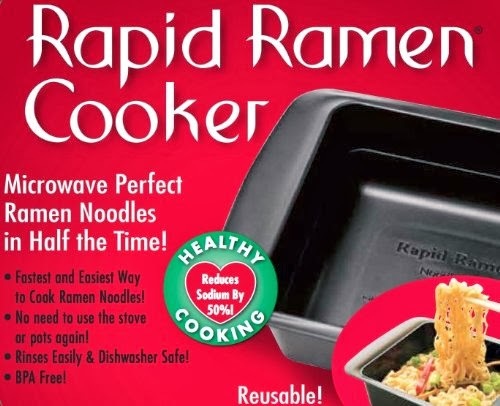 Which has never been done before cooking ramen, until now.The Rapid Ramen Cooker only requires one cup of water, compared to the normal two cups. Thus, you only need to use half the packet of the seasoning and that lessens the sodium by half. BPA free/Toxic free for the health and chemically conscious. The creator gives you great noodles, but he also gives the mentally and physically challenged like his own sister, jobs. He provides work to help manufacture these bowls, which I think is pretty awesome. I have been reading all over how great this thing is and get to try it out soon. At just $12.99 + $4.74 shipping , you can have this little workhorse for yourself through Amazon and it looks like it's made pretty durable so I'm almost guaranteeing it will last you a long time. Need I say this would make a perfect gift for a college student.